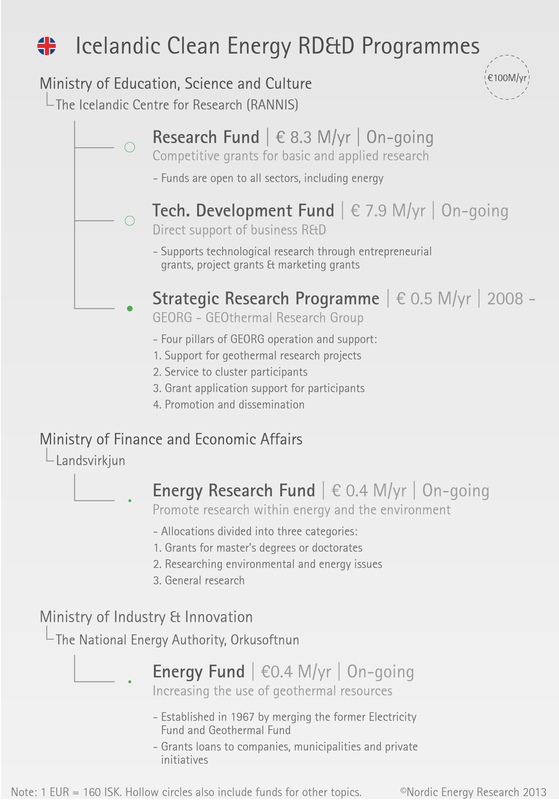 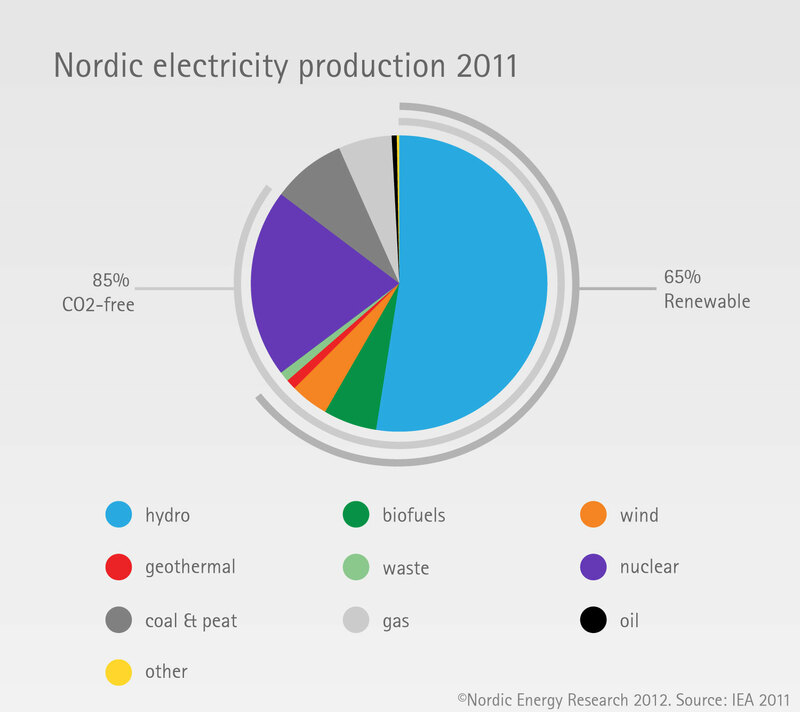 The Nordic Way is a growing collection of energy indicators for the five Nordic countries. 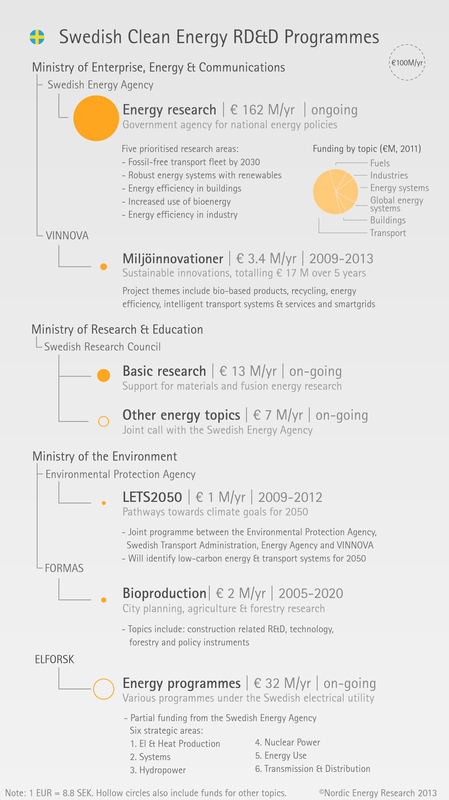 Browse by topic using the menu to the right, or take a look at the recent additions below. 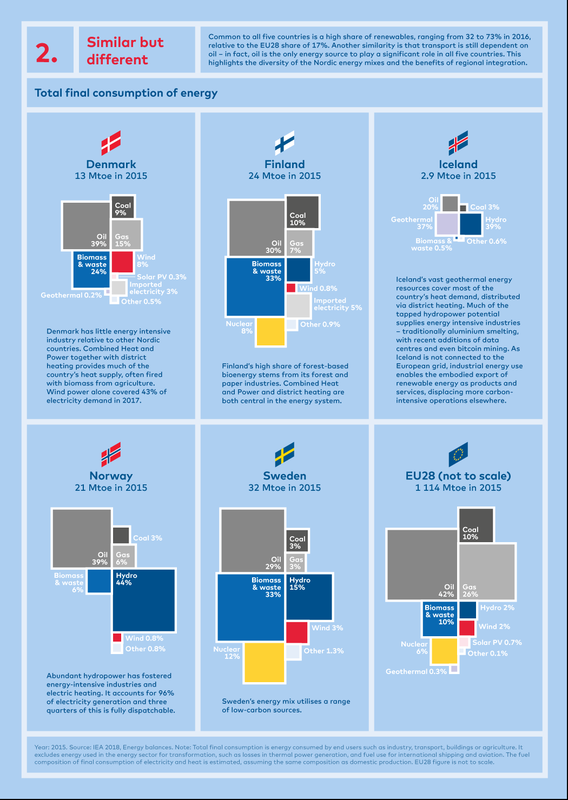 All content is free for download. 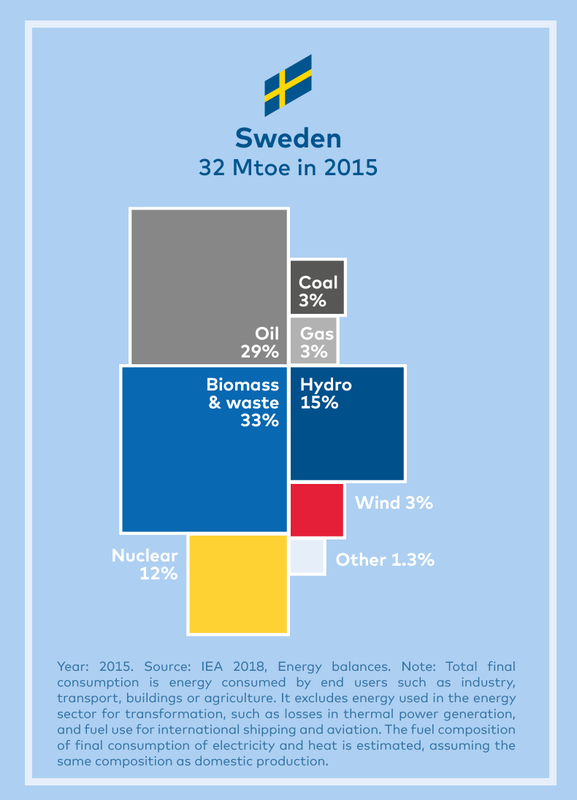 Sweden’s energy mix utilises a range of low-carbon sources. 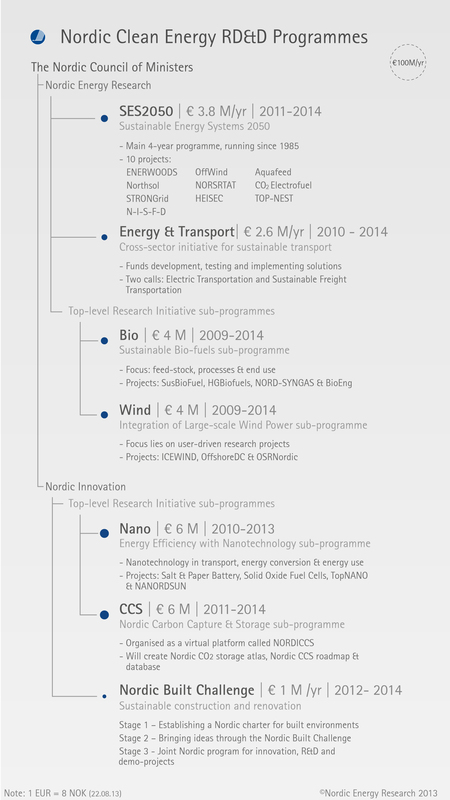 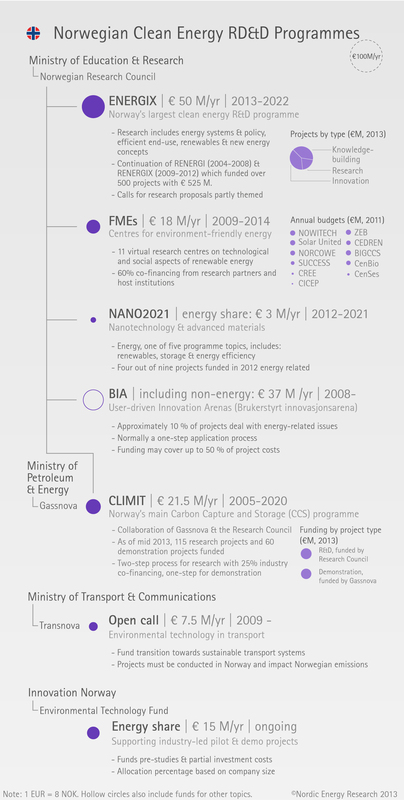 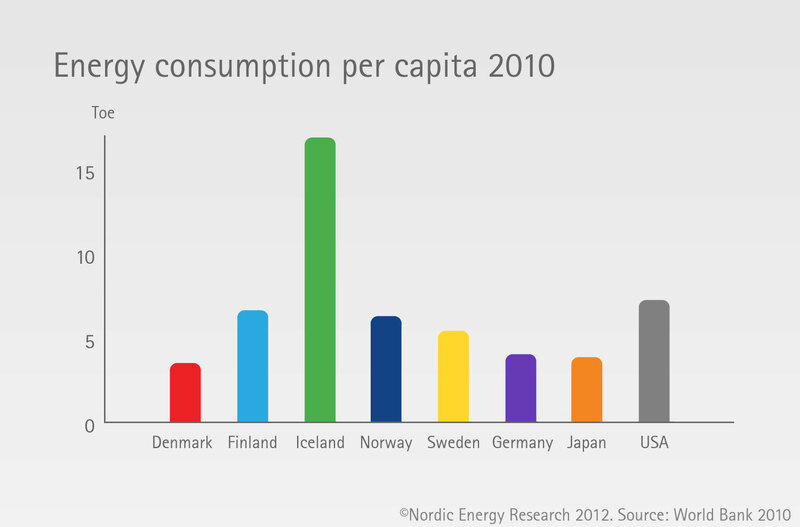 Download "10 Insights into the Nordic energy system." 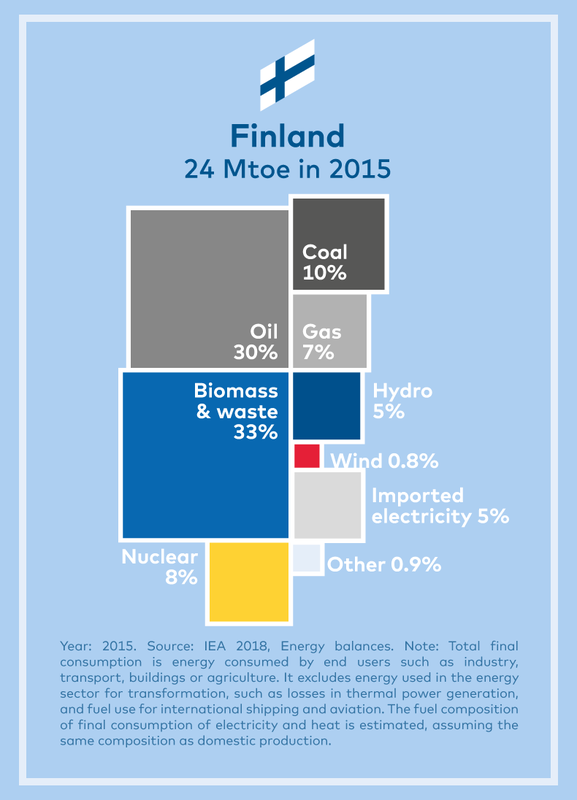 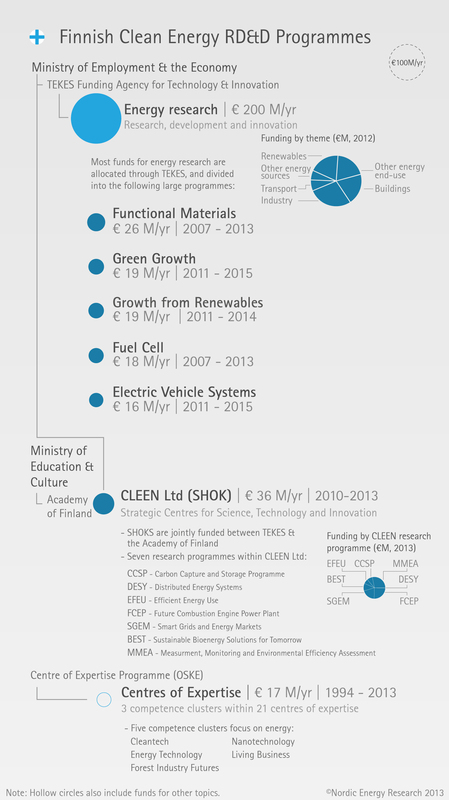 Finland’s high share of forest-based bioenergy stems from its forest and paper industries. 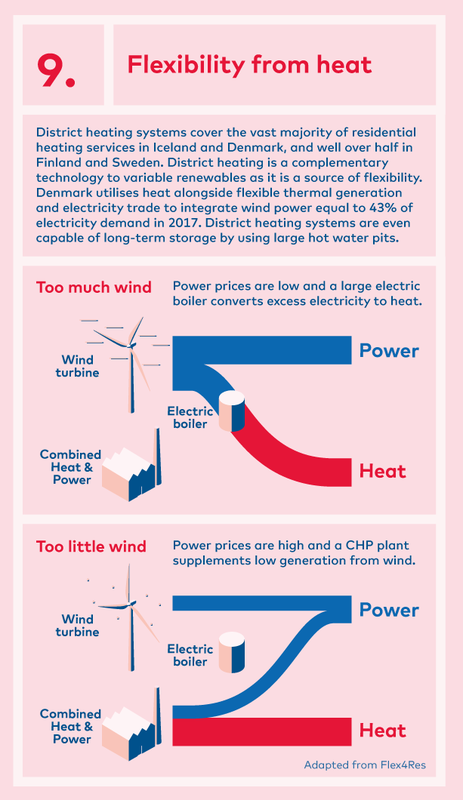 Combined Heat and Power and district heating are both central in the energy system. 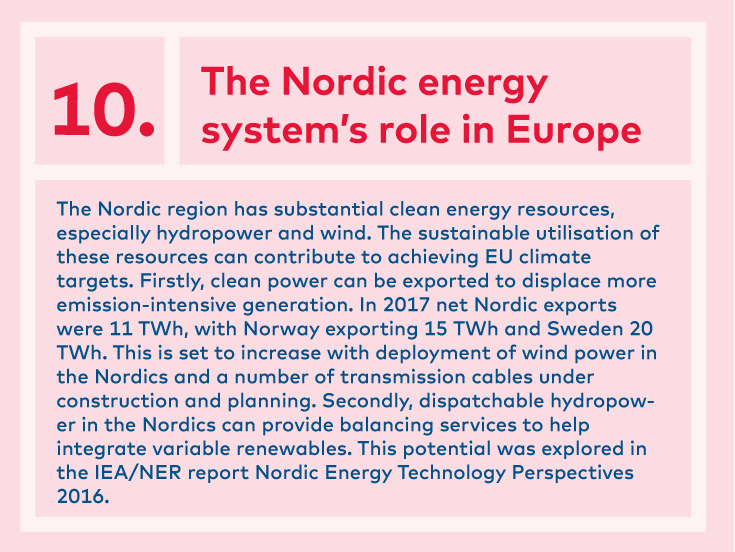 Download "10 Insights into the Nordic energy system." 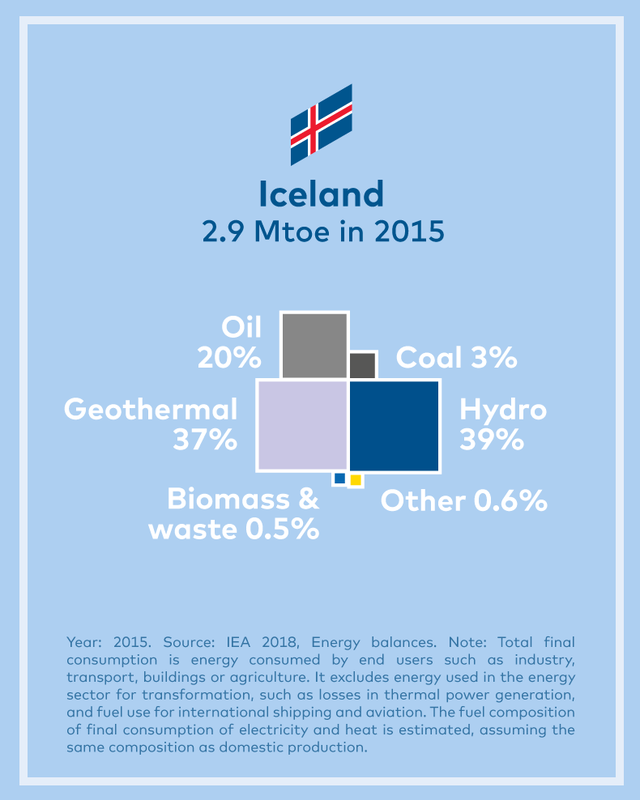 Iceland’s vast geothermal energy resources cover most of the country’s heat demand, distributed via district heating. 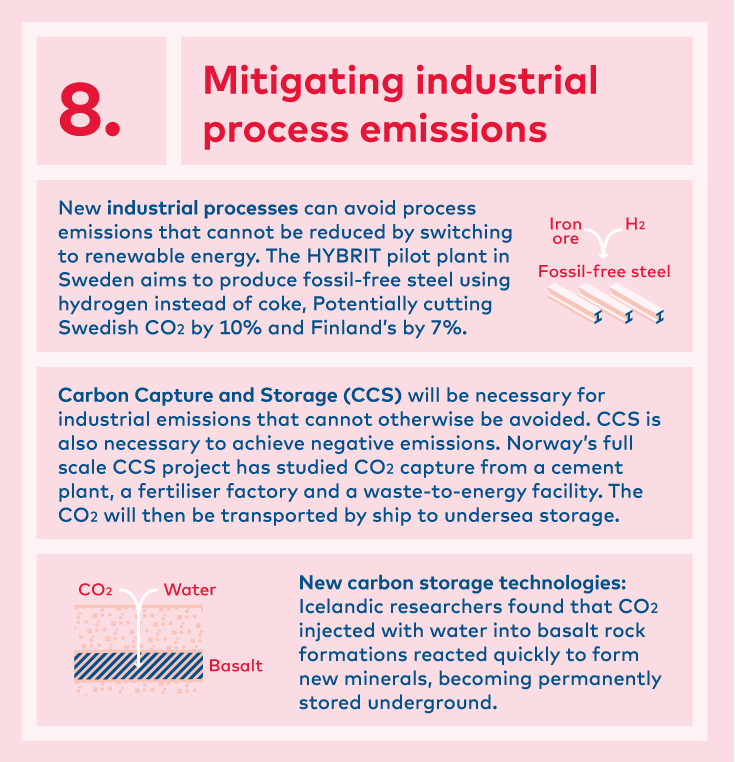 Much of the tapped hydropower potential supplies energy intensive industries – traditionally aluminium smelting, with recent additions of data centres and even bitcoin mining. 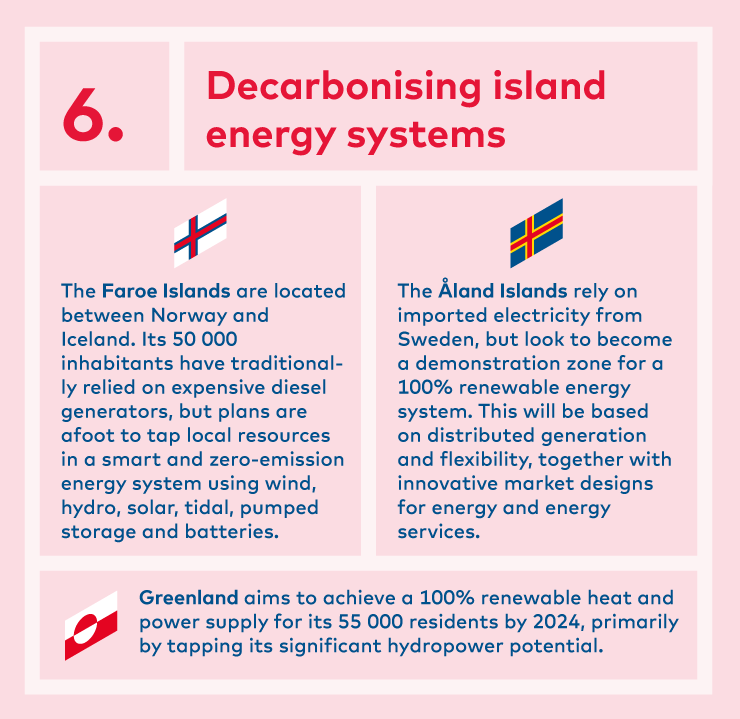 As Iceland is not connected to the European grid, industrial energy use enables the embodied export of renewable energy as products and services, displacing more carbon-intensive operations elsewhere. 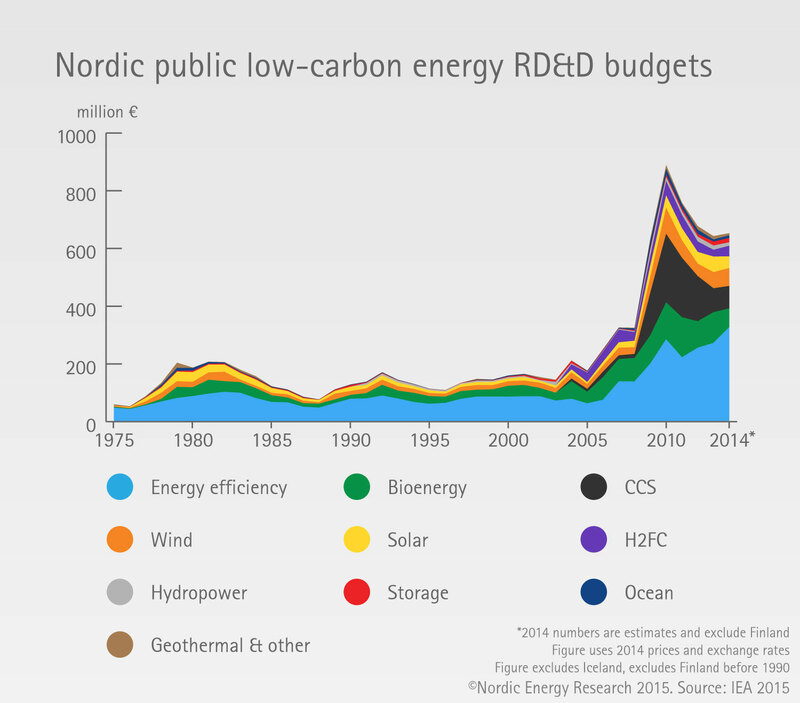 Download "10 Insights into the Nordic energy system." 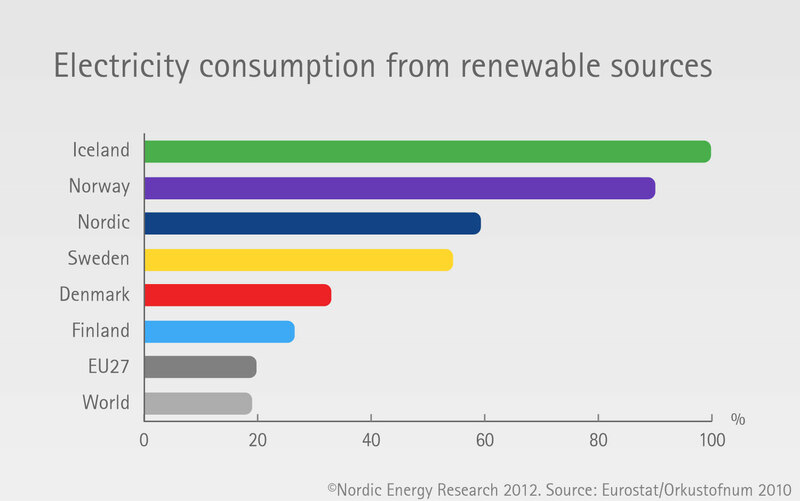 Abundant hydropower has fostered energy-intensive industries and electric heating. 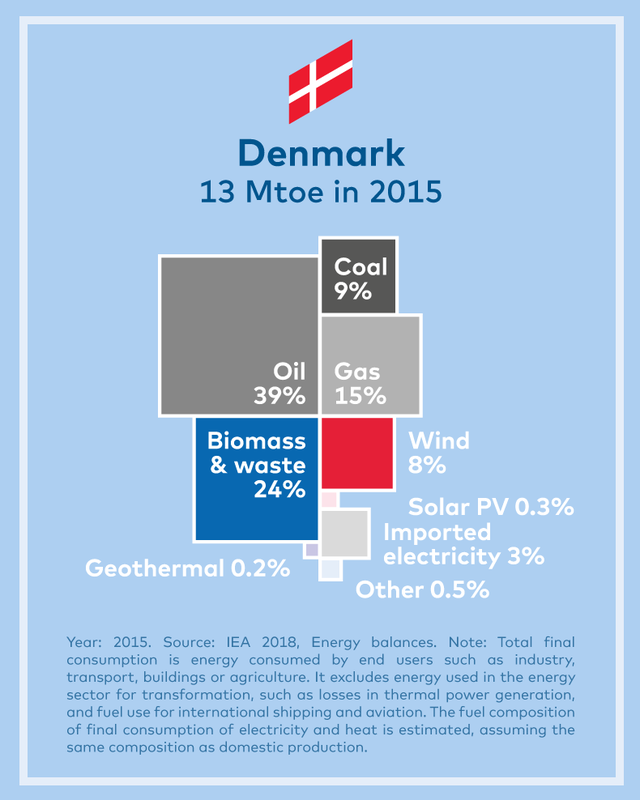 It accounts for 96% of electricity generation and three quarters of this is fully dispatchable. 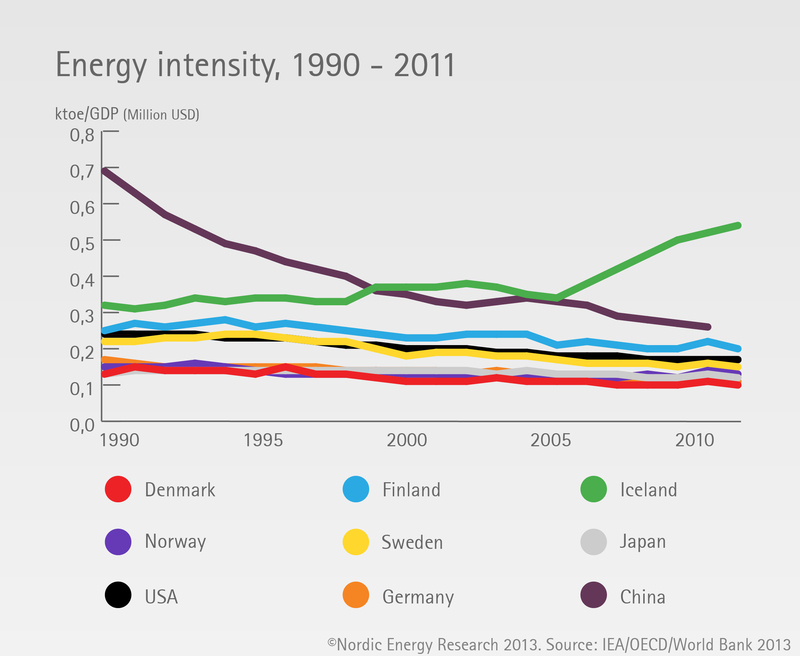 Download "10 Insights into the Nordic energy system." 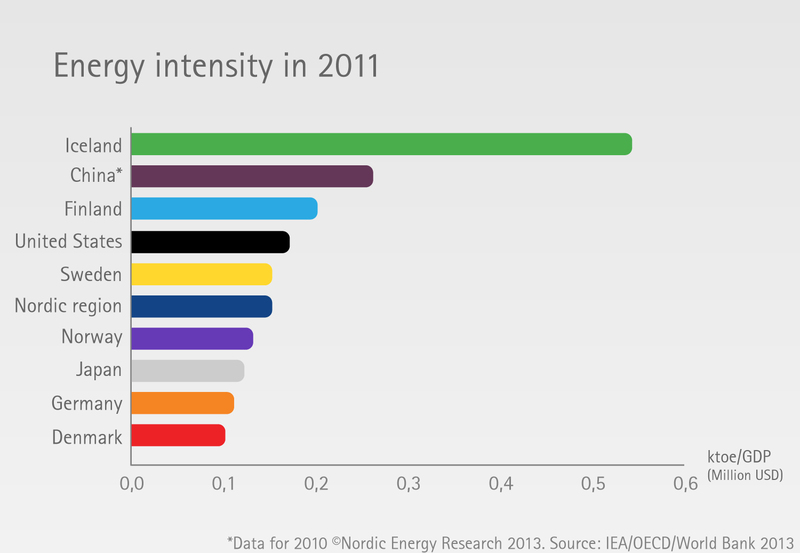 Denmark has little energy intensive industry relative to other Nordic countries. 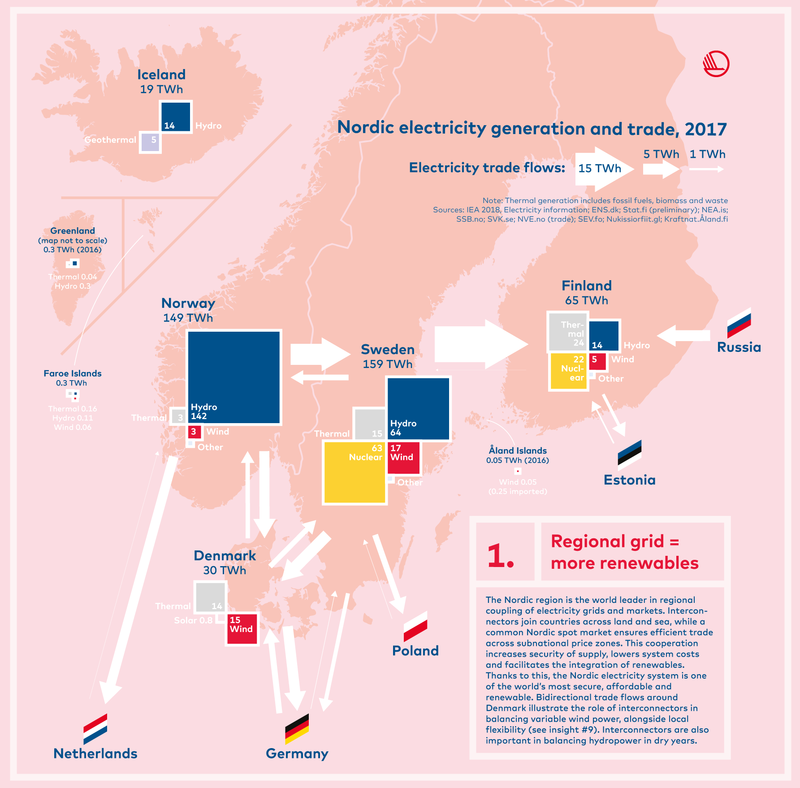 Combined Heat and Power together with district heating provides much of the country’s heat supply, often fired with biomass from agriculture. 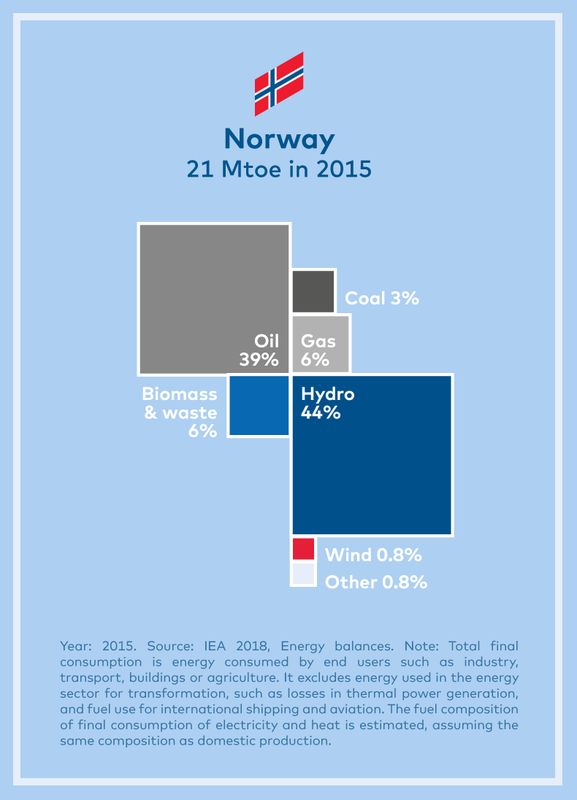 Wind power alone covered 43% of electricity demand in 2017. 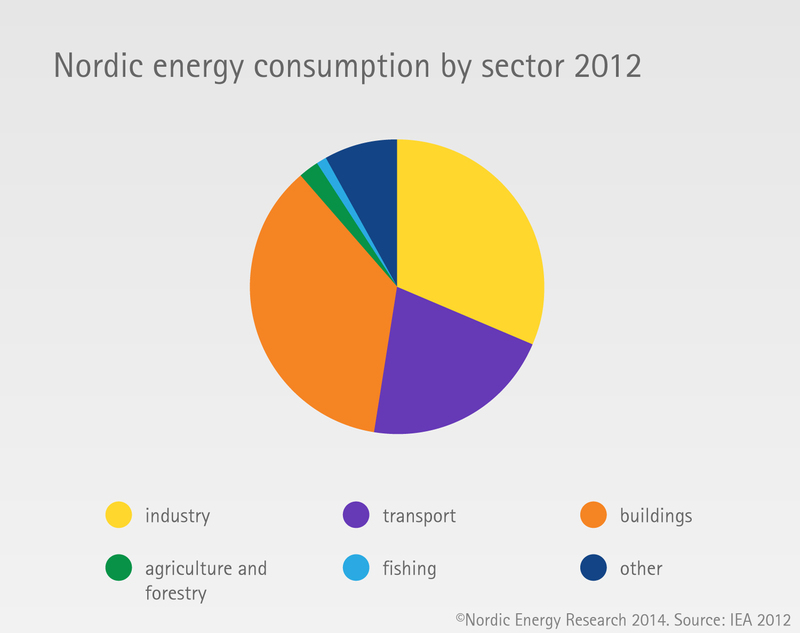 Download "10 Insights into the Nordic energy system." 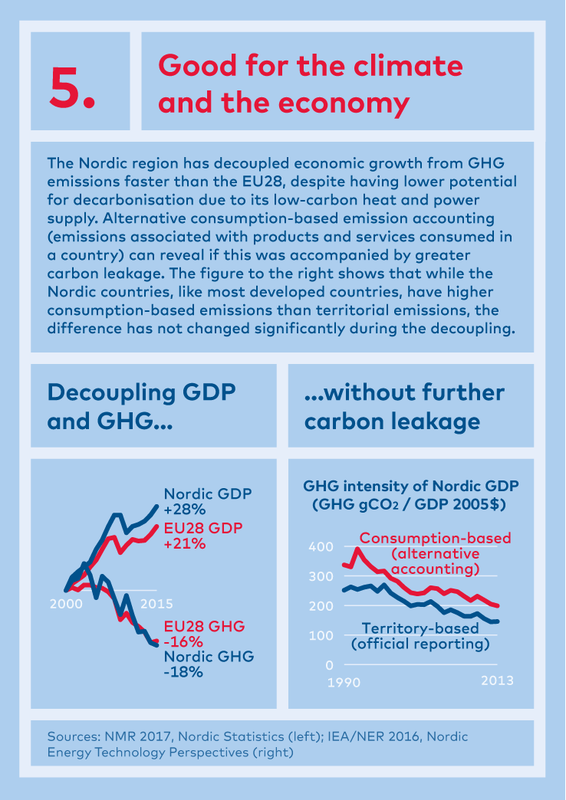 The carbon intensity of Nordic electricity is under 60 gCO2/kWh, compared to the global average of over 500. 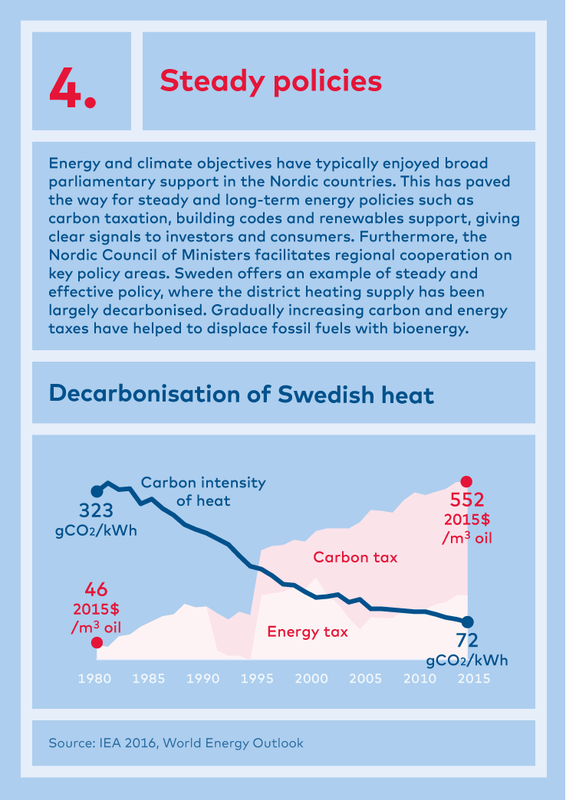 The world needs to match the current Nordic level by 2045 in order to realise the IEA’s 2°C Scenario. 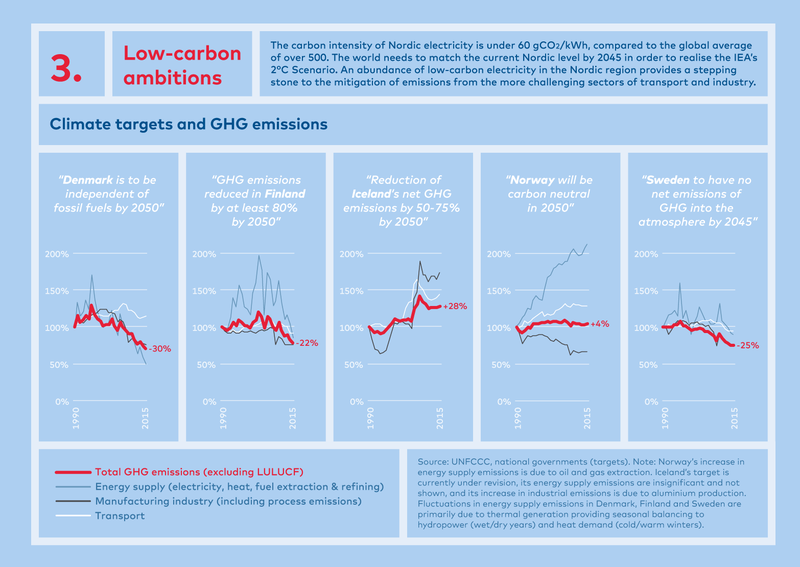 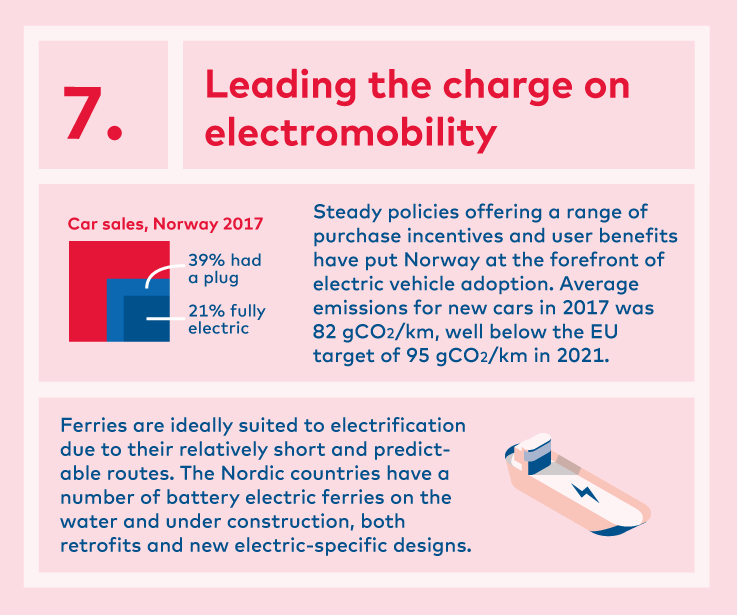 An abundance of low-carbon electricity in the Nordic region provides a stepping stone to the mitigation of emissions from the more challenging sectors of transport and industry. 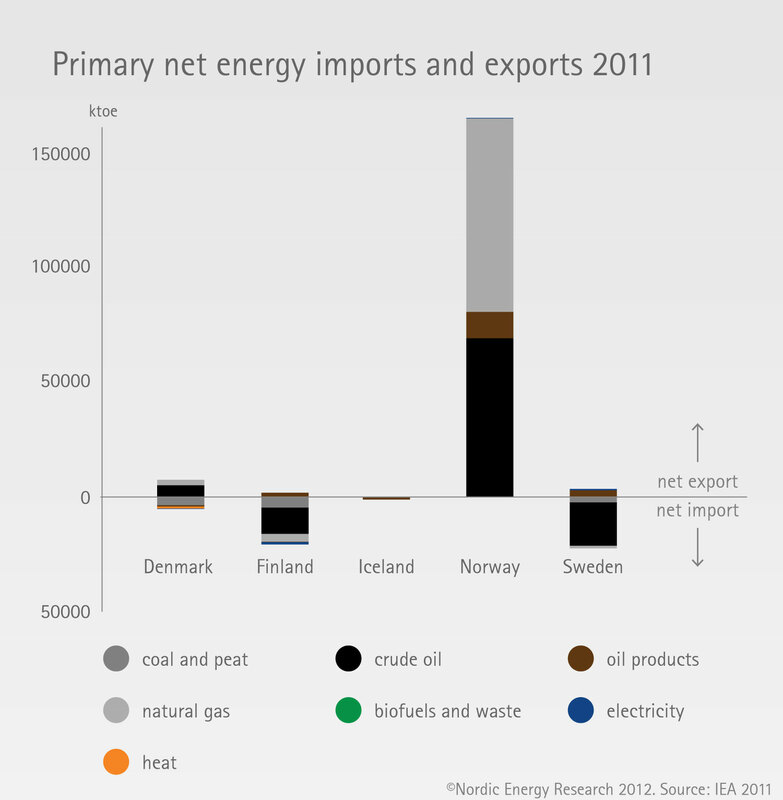 Download "10 Insights into the Nordic energy system." 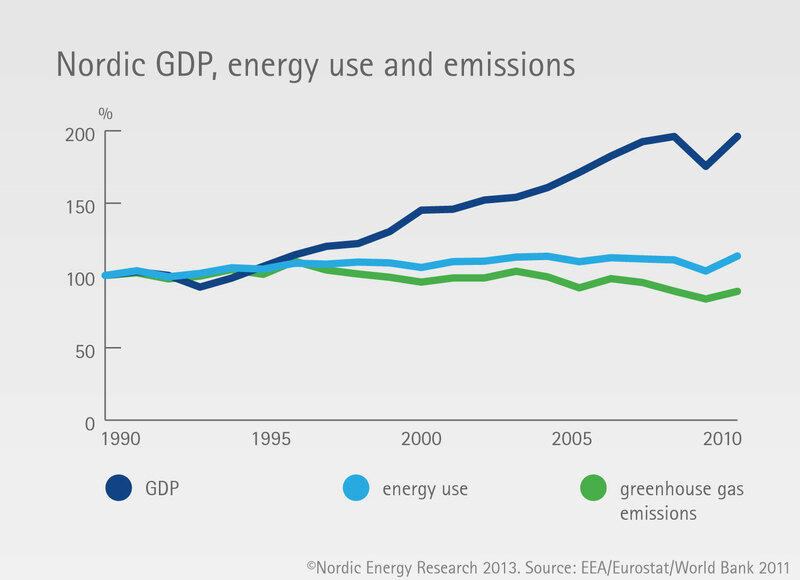 How energy intensive is Nordic GDP? 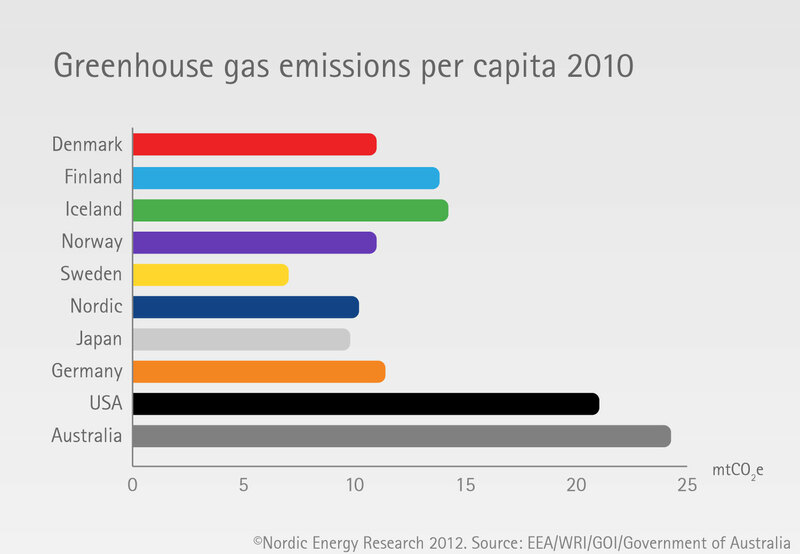 How energy efficient are the Nordic economies? 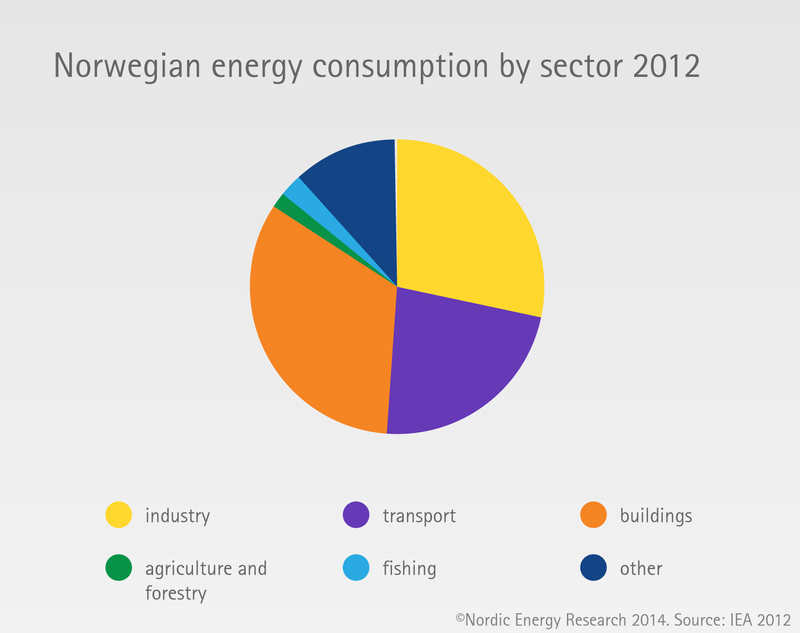 How much energy does a Nordic citizen use?